Made in Britain member Paxman and the University of Huddersfield have been shortlisted for one of higher education's most prestigious accolades at this year’s Times Higher Education (THE) Awards. The pair have been nominated in the ‘Most Innovative Contribution to Business-University Collaboration’ category for their five-year partnership work. During this time, researchers have helped the company investigate the science behind scalp cooling, clinically-observed patient success and have helped to design the next generation Paxman cooling cap. This contributed to the Paxman Scalp Cooling System gaining official clearance by the Food and Drug Administration to enter the U.S. healthcare market; the largest in the world. Chemotherapy-induced hair loss is widely recognised as one of the most traumatic side effects associated with cancer treatment. 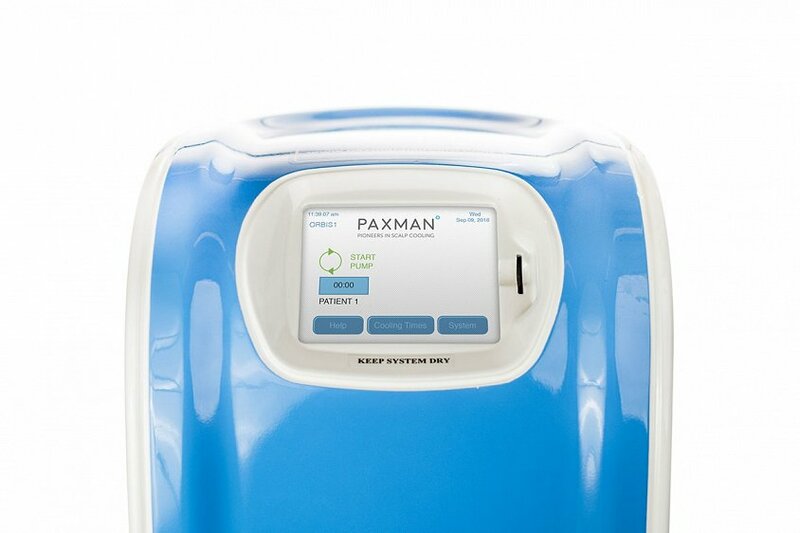 The British made Paxman Scalp Cooling System has been designed to help patients keep their hair and retain normality during chemotherapy. The cap works by lowering scalp temperature before, during and after the administration of chemotherapy. The partnership with the university began in 2012 as part of a joint initiative with Kirklees Metropolitan Council. The project - Kirklees Innovation Voucher - investigated the fundamental biology behind scalp cooling. More recently, Paxman worked with the School of Art, Design and Architecture to design the next generation scalp cooling cap. A project that balanced patients’ needs for a comfortable, snug fit with strict manufacturing-cost parameters. Going forward British manufacturer Paxman is planning future work with the university as it aims for zero hair loss by 2020. Now in their 13th year, the Times Higher Education (THE) Awards celebrate excellence within the higher education sector, across a multitude of university activity. The winners will be announced on Thursday 30th November at Grosvenor House Hotel in London. THE editor John Gill said: "Once again these awards have attracted hundreds of entries from the length and breadth of the nation, and from institutions of every hue. All those shortlisted can be immensely proud to have made it through this first phase, and we at Times Higher Education look forward to honouring the winners for their talent, creativity and commitment at a time for the academy when these qualities are increasingly essential."